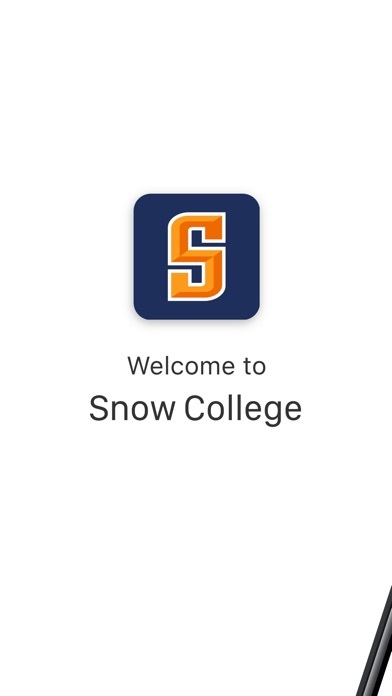 The Snow College App brings campus to your fingertips and enables you to connect with the Snow College community: Stay on top of your events, classes, and assignments with the built in calendar function, and get notified of important dates, deadlines & security announcements. 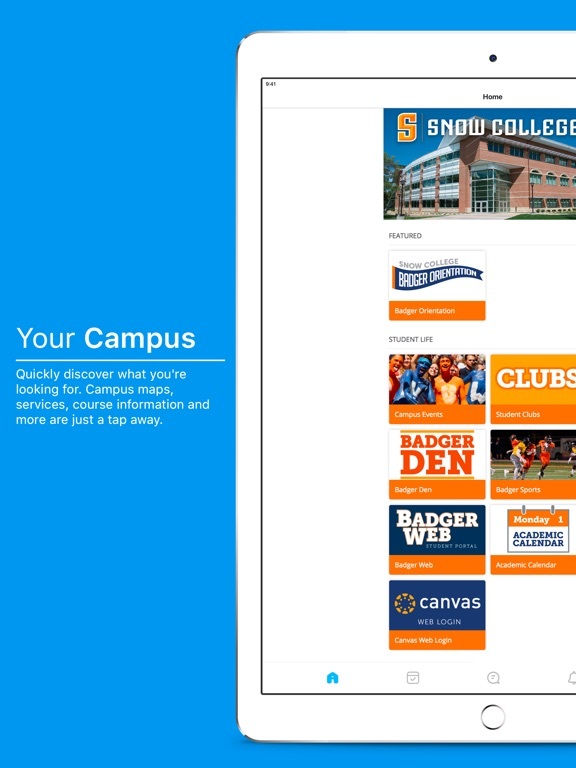 Make friends, ask questions, and access campus resources at any time! 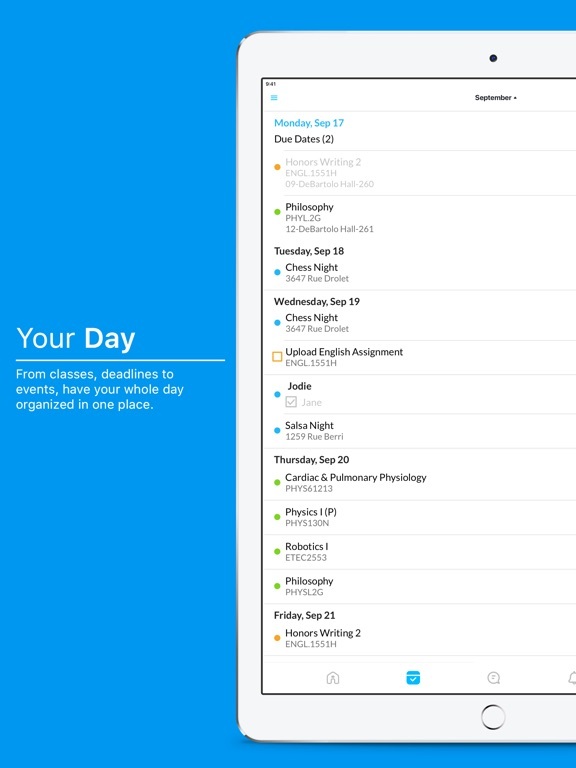 + CLASSES: Manage classes, create to-dos & reminders, and stay on top of assignments. + FEATURED ACTIVITIES: Orientation, Homecoming, etc. 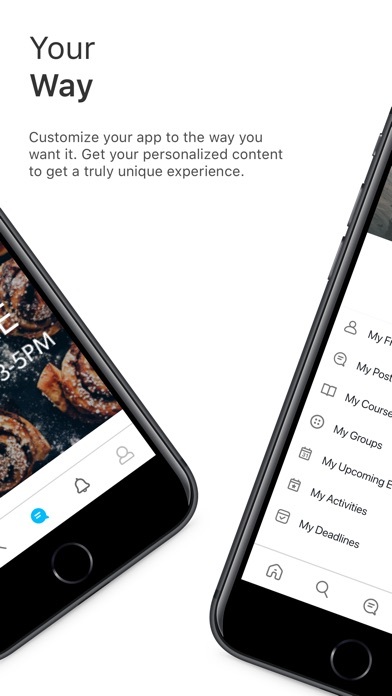 + CAMPUS COMMUNITY: Meet friends, ask questions, and keep up with what's happening on the campus wall. + CAMPUS SERVICES: Learn about services offered, such as Academic Advising, Financial Aid & Counselling. 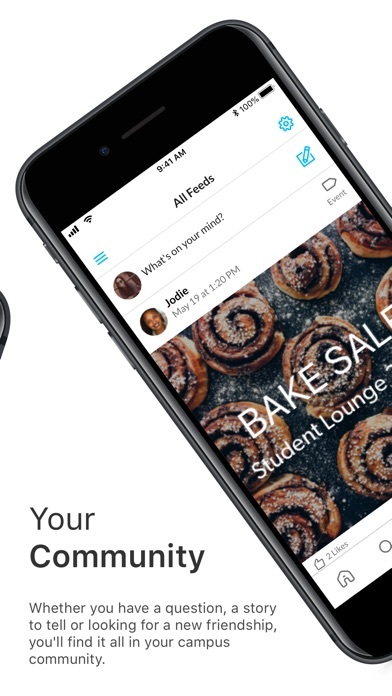 + PUSH NOTIFICATIONS: Receive important campus notifications and emergency alerts. 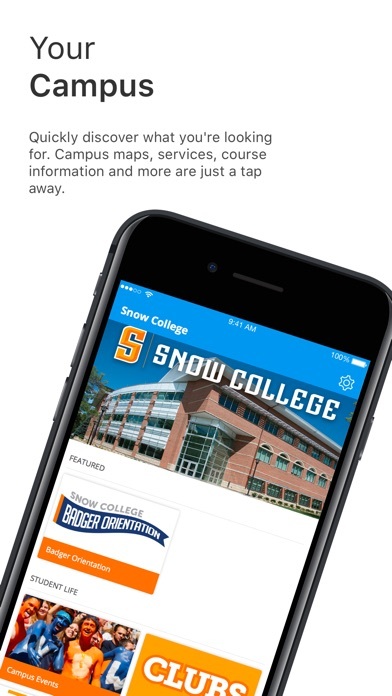 + CAMPUS MAP: Find the quickest route to classes, events, and offices. 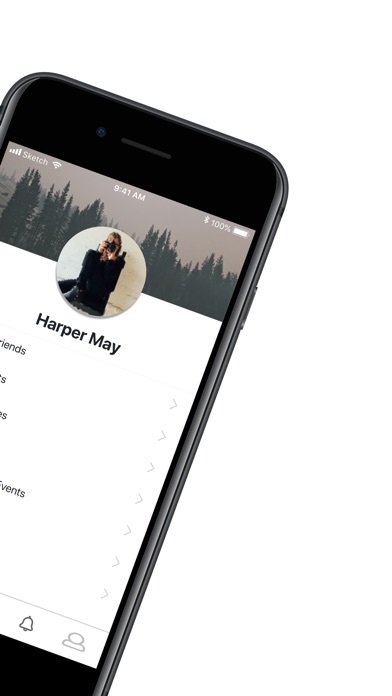 Improved the performance of the app on iPhone X. Other small bugfixes and improvements.